When was the last time Nebraska had a true quarterback competition? It’s been quite some time, if we’re being honest. Several years, in fact. When Taylor Martinez won the job in 2010, it was a bit of a shock. Both Zac Lee and Cody Green had starts under their belts, making them the likely starters come fall. Martinez ultimately upset both, taking over for the next few years and starting 43-of-44 games in which he played until 2013. He then passed the torch to Tommy Armstrong Jr., who went on to start 44-of-45 of the games he played in. With Armstrong graduated – as well as backup quarterback Ryker Fyfe – the Huskers essentially have a new roster of quarterbacks to choose from in 2017. An early favorite to start is Tulane-transfer Tanner Lee, but redshirt freshman Patrick O’Brien cannot be counted out. 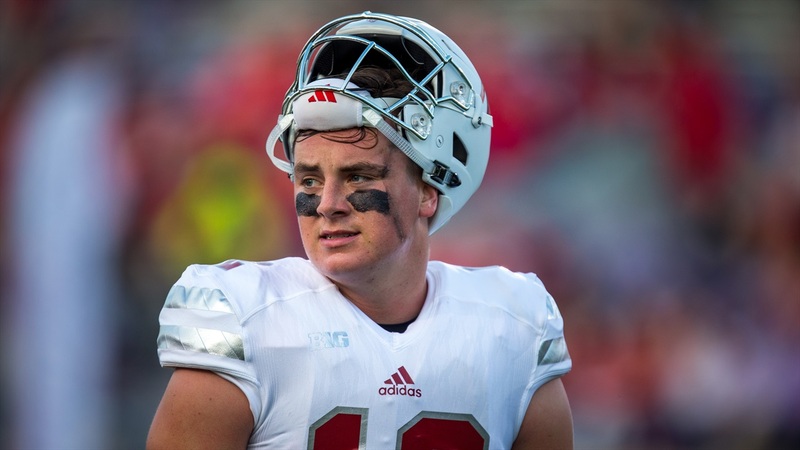 There’s also true freshman Tristan Gebbia and sophomore transfer Andrew Bunch, providing Coach Mike Riley and his staff with plenty to think about over the next several months. Lee has one major advantage over the other three prospects: FBS experience. At Tulane, Lee started 19 games over two seasons. That included 10 starts as a redshirt freshman in 2014. He also set multiple school records at Tulane as a freshman, which shows how talented the 6-foot-4, 205-pound quarterback is. One area that has provided some concern is his completion percentage at Tulane, which was right around 52 percent. However, Lee made quite the impression on Nebraska’s scout team in 2016, showing he is likely better than that completion percentage. It’s also worth noting that Lee earned scout-team MVP honors for the offense in 2016. It doesn’t hurt that director of player personnel Billy Devaney spoke about Lee on Nebraska’s signing-day show, sharing how he outdueled Jared Goff at a passing camp. Goff went on to become the top pick in the 2016 NFL Draft, so if Lee was able to keep up with and surpass him, there’s a lot of potential for Lee going forward. After redshirting his first season with the Huskers, O’Brien is expected to give Lee a run for his money at the starting role come fall. He may not have a college game under his belt but he is familiar with Nebraska’s system. In 2016, he traveled with the team and prepared for every game as the Huskers’ third-string quarterback. While Nebraska took a hit at the quarterback position with injuries, O’Brien managed to maintain his redshirt. Husker fans have limited exposure to O’Brien so far. He threw a few passes during the 2016 spring game, but it wasn’t enough to get a read on the type of quarterback he could be at the collegiate level. This year’s spring football and spring game will provide a better look at O’Brien and what he might bring to the table either as the starter or backup in 2017. Tristan Gebbia was a highly touted quarterback recruit from Calabasas, California, and he’s already at Nebraska. That’s going to make spring football especially interesting, as Husker fans will have a chance to see Gebbia in action (and in person) right away. The biggest challenge Gebbia is up against is his lack of experience. His high school numbers are difficult to ignore though, seeing as he threw for 13,109 yards at Calabasas High School. Even more impressive? He completed 70 percent of his passes as a senior and threw 61 touchdowns. It’s not impossible for Gebbia to become the starter, but it seems far more likely that he’ll redshirt his first year as a Husker. That would allow Gebbia more time to grow and adapt to the college game, which would not be a bad thing with the amount of depth Nebraska looks to currently have at the quarterback position. The Huskers also recently added sophomore walk-on Bunch to the roster, a transfer from Scottsdale (Ariz.) Community College. He joined the team in January and should instantly provide depth at the quarterback position. Don’t expect him to be in the running to start, but he’s good insurance for Nebraska after a year when quarterback depth was a serious concern. Someone else to keep an eye on? Zack Darlington. While he isn’t in a position to start for Nebraska, he may find a spot as a quarterback in a Wildcat package. Riley has often said he’d like to install one, which would put Darlington in a good place to see the field as a quarterback occasionally in 2017 if a Wildcat package is installed.